A new, really inexpensive switch interface ideal for use with Inclusive Technology switch operated software. 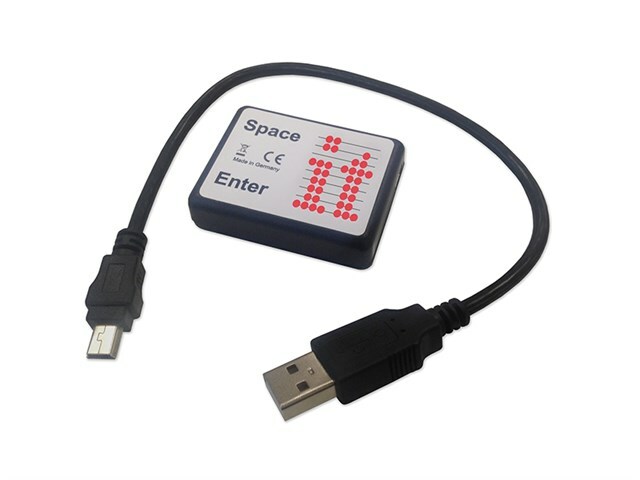 Easy to use and no software to install - simply connect to a USB port on your computer, plug in one or two switches and you are ready to use programs, such as the Inclusive SwitchIt! and Maker series. The two jack sockets allow switch presses to send space and enter, allowing you to operate any software that can be controlled by these keys. It cannot be used with programs that require other switch inputs: please contact us if you require further information.